According to Comic-Con International, Tove Jansson, a Finnish visual artist and author, has been selected by the Eisner Award judges to be automatically inducted into the Will Eisner Comic Awards Hall of Fame for 2016. Hooray, Tove! 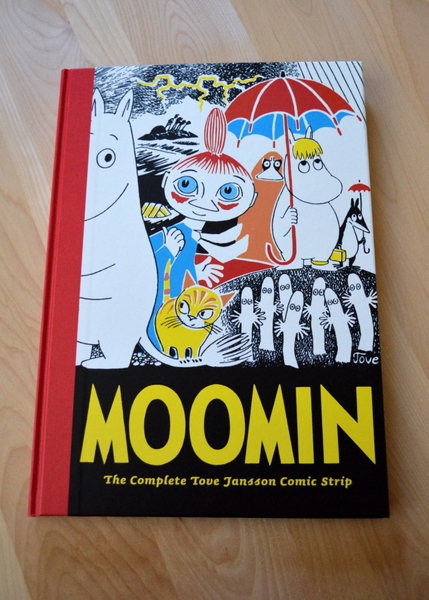 Jansson (1914-2001) is best known as the creator of the incredibly popular Moomins books and comics. Besides Jansson, there’s a second automatic inductee: Carl Burgos, Golden Age creator of The Human Torch. In addition, the judges have also chosen 14 nominees from which voters will select four to be inducted in the Hall of Fame. Visit the Comic-Con International: San Diego Eisner Awards page for details. The ceremony takes place July 22, 2016, in San Diego.